In the USA you are likely to run into fake Balsamic Vinegar. 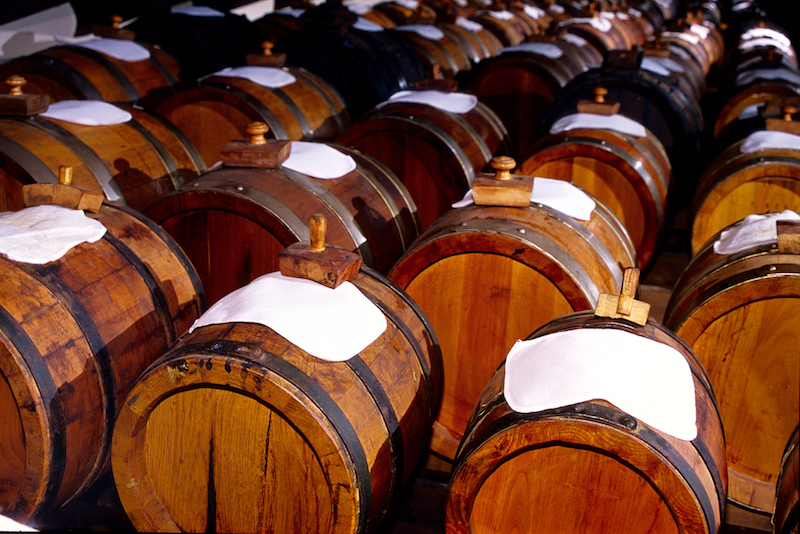 In Italy, Traditional Balsamic Vinegar of Modena is protected by denominations of origin PGI and PDO. Marks of origin guarantee that the product comes from the Modena area and respects a strict disciplinary of production. On the contrary, in the United States, what you buy under the label “Balsamic” is not original Balsamic Vinegar. In the majority of the cases it’s only sweet red wine Vinegar! In fact, original Balsamic Vinegar is a reduction of Lambrusco and Trebbiano grapes, which age for at least 12 years in a battery of barrels of different woods. According to a complex procedure, the product is transferred from a barrel into another, this happens every year. This procedure allows the product to absorb the scents which characterize the different woods. The rare woods selected for the battery od casks are very rare; we talk about oak, ash, chestnut, acacia, mulberry, cherry and juniper. In the United States, you’ll rarely find such a precious product; in supermarkets you are more likely to find fake Balsamic Vinegar; most times it consists of red wine Vinegar added with sugar, since American people like sweetness when it comes to food. This products abuse of the label Balsamic, since it is illegal to label a product as Balsamic, unless it respects the disciplinary of production above mentioned. Some American producers are trying to re-create Traditional Balsamic Vinegar in their homeland but this is far from easy and the craftsmanship has a really high price! A bottle of Balsamic Vinegar sold by an American Vinegar cellar, which follows the Italian method and uses only certified organic grapes, costs around 150 dollars! A bottle of extra-old is around 200 dollars! These are prices that obviously not everybody can afford and maybe that’s why in the USA the business of fake Balsamic Vinegar has flourished. Balsamic Vinegar is on youtube!